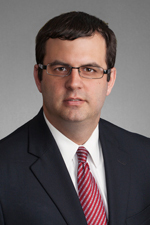 Matthew Ferlazzo focuses his practice in commercial litigation, reinsurance and insurance litigation. Mr. Ferlazzo also has experience representing and advising insurance companies in environmental, mass tort, construction defect and construction accident insurance coverage matters. He has litigated matters from pleading through trial and appeal in state and federal courts throughout the country, as well as before arbitration panels. Mr. Ferlazzo has worked on a variety of issues important to the reinsurance and insurance industries, including fraud and misrepresentation, claims allocation, trigger of coverage, number of occurrences, late notice, additional insured coverage, follow the settlements, access to records, loss sensitive and retrospectively rated insurance programs, pre-hearing security and insurance coverage issues arising from the destruction of the World Trade Center. Mr. Ferlazzo joined Hinshaw & Culbertson LLP in October 2014 as a result of the merger of Hinshaw and the Los Angeles-based firm of Barger & Wolen LLP. Prior to working at Barger & Wolen, Mr. Ferlazzo was an associate with Ford Marrin Esposito Witmeyer & Gleser LLP in New York. In addition to his other law school accomplishments, Mr. Ferlazzo was a Richardson Merit Scholar and received the Judge Nathan R. Sobel Prize for Excellence in Criminal Law. In addition, Mr. Ferlazzo was a recipient of the Herbert A. Lyon Memorial Scholarship. During law school, Mr. Ferlazzo was a student law clerk for Justice Myriam J. Altman, New York State Supreme Court, Appellate Division, Second Department. He also served as a Student Assistant District Attorney with the Kings County District Attorney's Office. Prior to law school, Mr. Ferlazzo worked as a paralegal with the Richmond County District Attorney's Office. During his undergraduate studies Mr. Ferlazzo was a member of the National Political Science Honor Society, and he was a recipient of the Robert Schenk Political Science Award. Representing cedents and reinsurers in arbitrations. Achieving settlement in a reinsurance arbitration on behalf of a cedent for the principal balance due plus interest. Obtained victory in arbitration hearing resulting in an award that the reinsurer did not owe any amount to the cedent. Representing insurers in arbitration and litigation of claims against policyholders concerning retrospectively-rated and loss sensitive insurance programs. Achieving multiple favorable settlements, including settlement for the full balance due plus interest. Obtaining dismissal of an action by the policyholder who sought to litigate dispute that was subject to arbitration. Successfully litigating petitions to compel arbitration and appoint the policyholder’s arbitrator in state and federal court. Obtaining multiple awards requiring the policyholder to post pre-hearing security for the full amount at issue plus interest and attorneys’ fees. Defeating motion to dismiss arbitration based on the alleged failure to satisfy conditions precedent. Representing insurers as plaintiffs and claimants concerning claims of fraud and misrepresentation in complex, multi-million dollar insurance program. Representing both primary and excess insurers in insurance coverage litigations concerning mass tort, environmental, construction defect and construction accident claims. Obtaining decision on appeal applying the insurer’s cross-liability exclusion to bar coverage for claims against an additional insured by an employee of the named insured. Successfully defending the insurer against a direct action claim by the state to recover clean up costs associated with a petroleum leak. Obtaining favorable decision for the insurer at trial and appellate level that New York law applied to coverage dispute concerning the costs of environmental remediation at sites throughout the country. Obtaining summary judgment dismissing the insured’s claim for coverage of remediation costs because of the insured’s late notice. Representing a go-kart manufacturer in multiple product liability litigations throughout the country.